Our usual Tampa fall weather is known for cool temperatures in the mornings, gradually warming up in the afternoons. As cold fronts begin making their way into the Tampa area, we know figuring out what to wear this fall season can be a little challenging. We're ready to give you a little help on the hottest fall fashion in Tampa trends for 2018 and where you can find them, locally. This year it's all about plaids, animal prints and a whole lot of red! PLAID OVER PLAID returns to the fashion spotlight. Plaid garments can bring a little fun to the workplace while you can don a classic plaid blazer to layer over a white top or a plaid pencil skirt paired with pumps. If you prefer a more subtle approach to this trend, try a plaid tote bag to carry your laptop and other essentials. Men may incorporate plaids to a sports jacket for a business lunch meeting. Ready to add a little excitement to the work wardrobe now? Take a short drive over to the Hyde Park Village and find plaid pieces at Scout & Molly's Boutique on Snow Circle where you can shop worry free as boutique stylists will be able to help you put a great look together. Brooks Brothers in Hyde Park is equipped with stylish versions of plaid from jackets to coats and suspenders for men. RUCHING details are so in yet very flattering to multiple female figures, which is why it's on the top of our list for fall. In case you do not know what ruching is, it is pleated fabric usually found on the side profile of a garment giving both a camouflage and curve defining effect. Rest assured you will look dashing with ruching details that can be found on dresses, skirts or tops. Choose from a beautiful selection at Bay to Bay Boulevard in Sweet Southern Chic boutique, specializing in alluring date night plus event wear for ladies of all ages. ANIMAL PRINTS get much more attention this fall season. But did it ever lose its luster?! There are so many ways to style yourself with animal print such as a pair of shoes, booties, tops, dresses, even a clutch. This eye-catching print is haute for social dates, parties or those who want to make a bold fashion statement. Remember, animal print should be accessorized minimally. Grab yourself a leopard, cheetah or python print piece from Don Me Now at E Kennedy Boulevard. While you're shopping, enjoy sparkling wine or a full-service champagne bar at the Bubbly Barchique inside the location. RED is all we see! It just keeps getting easier to be fashion forward when red is the main color for fall. It's no longer just for the holidays, therefore; Any variation of red will do. If you favor warm or cool toned reds you will never go wrong to rock it during the day with denim. For evenings, wear reds with black, gold and gray. A red handbag or pair of shoes are the perfect accents to spice up your basics. Ladies, find your favorite red items at West Third Boutique located on Westshore Boulevard. Guys, update your closets at Salt Pines on Swann Avenue and Tommy Bahama in South Tampa. 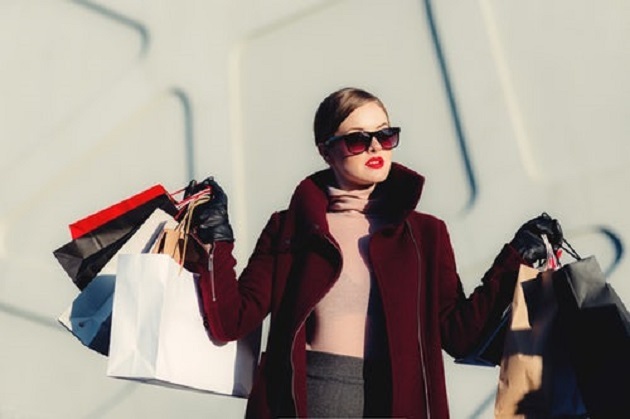 Look your best this season by visiting shopping in Tampa for more ideas. Connect with 813area, we're your free guide to things to do in Tampa!